La Seine Musicale, a new cultural complex inaugurated in April 2017, is ambitiously trying to become one of the leading cultural figures in the west of Paris. Cultival was naturally chosen to organise the guided tours going behind the scenes of La Seine Musicale. 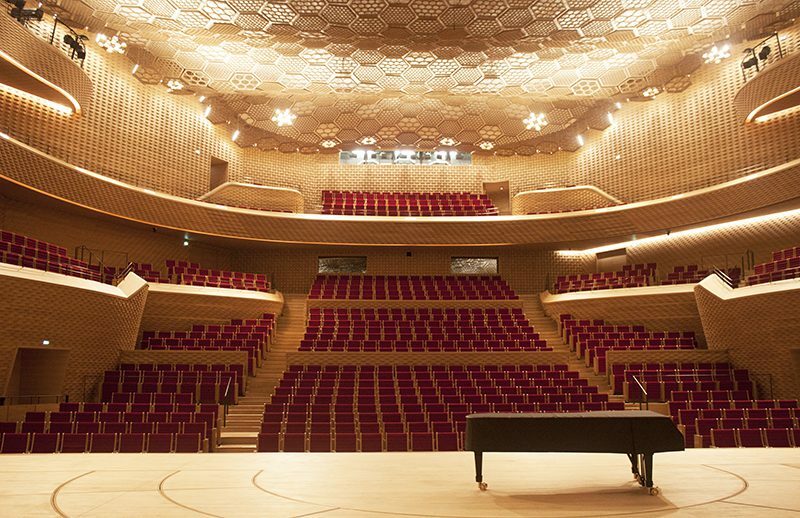 This huge contemporary building, designed by Japanese architects Shigeru Ban and Jean de Gastines, has been created to accommodate all types of music and expanded cultural programming. La Seine Musicale also allows amateur ensembles and contemporary music groups, thanks to the support from the Hauts-de-Seine Departmental Council, to make use of recording studios that are remarkable in quality. Guided tours, a valuable communication channel for any cultural site, make it possible to pique the audience’s interest, whether they are simply passing through or from there area. Cultival has been chosen to create a guided tour service, carrying out all the processes relating to the production of the visits: marketing strategy, communication, commercialisation, reservation and mediation.